Once Upon a Time 100th Episode Sneak Peeks: "Souls of the Departed"
On Sunday's Once Upon a Time return, season 5, episode 12, "Souls of the Departed," Emma (Jennifer Morrison), Regina (Lana Parrilla), Mary Margaret (Ginnifer Goodwin), David (Josh Dallas), Robin (Sean Maguire), Henry (Jared Gilmore) and Gold (Robert Carlyle) arrive in the underworld, on a mission to rescue Hook (Colin O'Donoghue). Meanwhile, in an Enchanted Forest flashback, a familiar face from the Evil Queen's past returns to present Regina with the perfect birthday gift. Tune in to the season 5 midseason premiere of Once Upon a Time SUNDAY MARCH 6 8|7c! In the 100th episode sneak peeks below, Regina marches into a peasant village and tries a blueberry pie, but reveals what she really wants for her birthday: Snow White's heart. In present day, the heroes make their way to the Underworld, which looks eerily similar to Storybrooke. On a search for Hook, Mary Margaret goes to Granny's in the Underworld and bumps into James, David's brother. 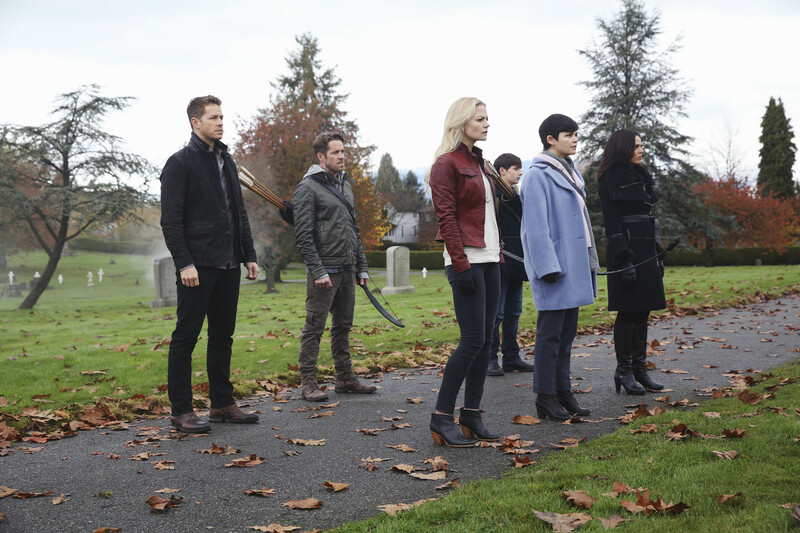 The heroes look on as they head into the Underworld to rescue Hook. 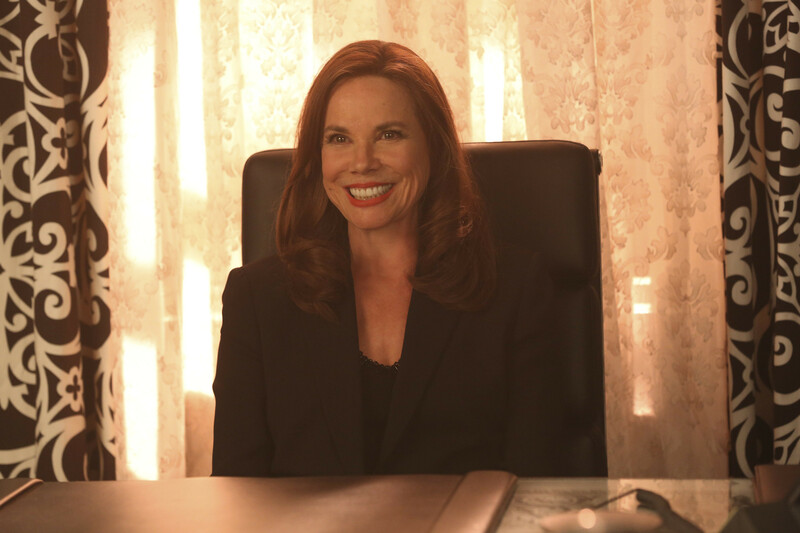 Barbara Hershey returns as Cora.